A few words about Agios Ioannis..
Agios Ioannis Beach is located 2km away from Aliki towards Limenas. The access is somewhat difficult but possible even by car. This is a quiet beach for those seeking relaxation moments and tranquility. It boasts clear water, sand and fascinating seabed perfect for fans of underwater fishing. In recent years, a canteen is operating which provides sunbeds and umbrellas. 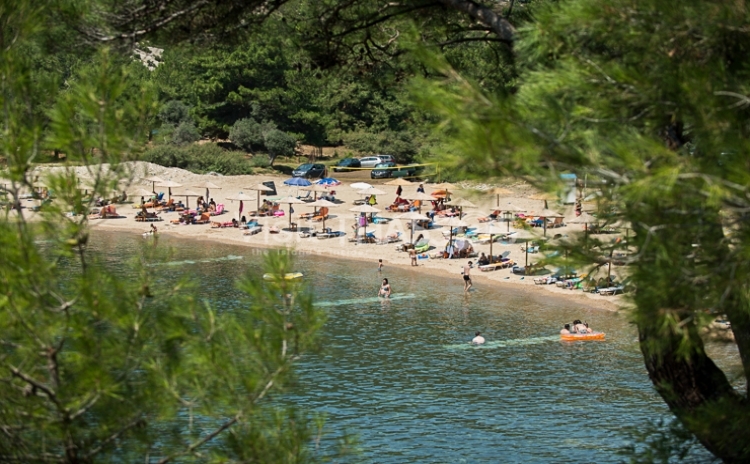 It boasts clear water, sand and fascinating seabed perfect for fans of underwater fishing.